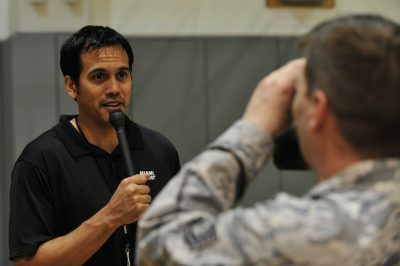 Erik Spoelstra coaching style is taking the Heat upward! Drills included!! Erik Spoelstra coaching style is taking the Heat upward. Check out these shooting drills! Learn how the Erik Spoelstra coaching style is making Miami Heat a playoff team again! Check out these Shooting drills from him. The Erik Spoelstra coaching style is turning a ragtag basketball team in a playoff team each year. The Miami Heat had another playoff run last year. Spoelstra should be an early favorite for Coach of the Year this year, because of his all-star cast. He doesn’t have a LeBron James, Dwayne Wade or Chris Bosh on the floor. The Miami Heat have undergone a bigtime turnover. When LeBron James departed Miami in the summer of 2014, they were able to bounce back with a showing in the Eastern Conference semifinals. Pat Riley could see that Dwayne Wade was fading and didn’t sign him and he left to head to the Chicago Bulls. Now, we see that was a good move. The roster turnover makes the Erik Spoelstra coaching style even more imperative. This season will be revealed on his expertise. The Erik Spoelstra coaching style will like key this team’s turnaround with getting a lot of players involved on the offense, reducing turnovers, and playing good defense. The Miami Heat led the NBA with eight players averaging double figures in scoring. They shot the ball at forty-one percent from the field Hassan Whiteside controlled the floor on offense. Coach Spoelstra has developed lineups with analytics that allow him to develop his role players so they can maximize their potential of the team. Pat Riley has always said that Spoelstra improves his players and is very under-rated at that point in the national media. They have a developmental program that works the players hard. It doesn’t’ matter who Coach Riley brings in; they will coach them up. The defense is where this Miami Heat team excels at on the basketball court. Whiteside is getting better and causes havoc around the rim. He can alter shots and block attempts from anywhere. They do an excellent job in stopping transition and limiting their opponents to fewer possessions in the game. They lead the NBA last year in only nine fast break points allowed per game. The Spoelstra coaching style emphasizes ball security on offense. The Erik Spoelstra coaching style has changed with the times from driving the ball to the rim and kicking it out, running a pick and roll system, running the horns set plays, and pounding it down low. They use different schemes based on their personnel. Coach Spoelstra does more with less than any other NBA coach.